Kim Quek: In this heartening statement, the Malay rulers have firmly put their foot down against the recent dangerous slide towards extremism in race and religion. The rulers warned the extremists not to smear the good name of Islam and not to create racial disunity. They re-asserted the importance of tolerance, moderation, inclusiveness and mutual respect as guiding principles in preserving the harmony of this multireligious and multiracial society. 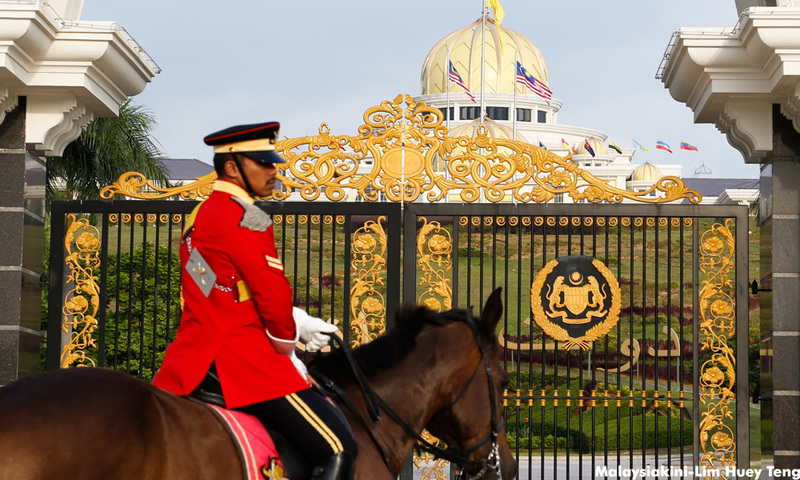 Umno and PAS should take heed from this rare royal intervention to back off from their reckless use of race and religion to satiate their greed for political power. Vijay47: Indeed, it is heartening that the Malay rulers as a body have found the present state of affairs in the country unhealthy and even dangerous. Echoing the blunt stand taken by the Johor sultan and the crown prince of Perlis, the rulers have criticised the actions of "certain individuals which would further put our multi-religious and multi-ethnic society" at risk. Welcome as this is, the rulers' concern is being directed towards the wrong parties. While the laundrette operators were wrong in their misguided discrimination, they are only simpletons misled in the manner of achieving their religious objectives. I will add that Sungai Besar Umno chief Jamal Mohd Yunos is a misguided politician who has chosen a more visible and publicity-seeking approach. He is nothing but an uneducated oaf wanting his five minutes of shameful fame. As a nation, we should be apprehensive not about such individuals but against the institutions that give rise to these attitudes. The most dangerous groups in the country are government-sponsored Muslim bodies supposedly established to teach religious righteousness and instead preach only hatred and bigotry. We never hear of these organisations advocating the virtues and gentler aspects of their faith. Instead, there is only more hostility; we have state muftis supporting discrimination against non-Muslims; one mufti actually stated that it would be acceptable for non-Muslims to be killed. We see almost daily calls for further intrusions into the rights and practices of non-Muslims – from forms of worship, these have spread into social practices. Such manifestations have crept into almost every facet of government, including an inspector-general of police (IGP) who refused to execute a court order and until today, has made no real progress in apprehending those who openly kidnapped Christian pastors. These are the evil forces that should be castigated and punished. And in the midst of all this, where is our prime minister? He is spineless as usual, hardly to be seen, able to only say that the Johor sultan’s condemnation of religious extremism “has basis”. 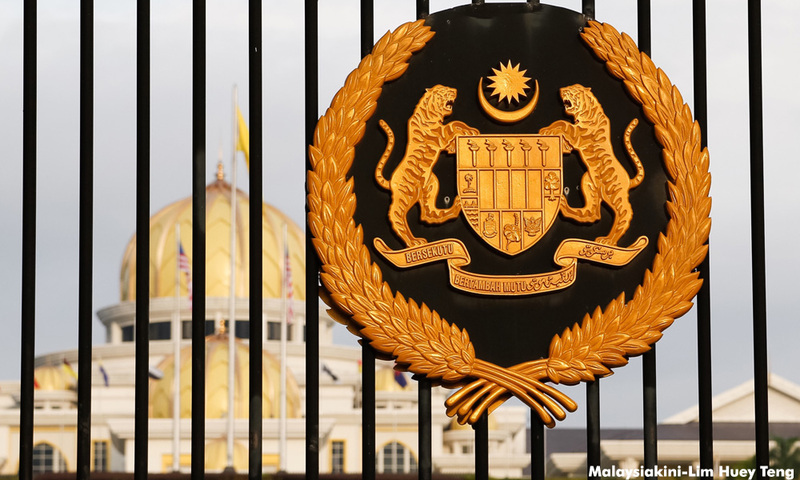 Cogito Ergo Sum: The Malay rulers have expressed concerns over the eroding unity and harmony in Malaysia in light of racially controversial issues that have taken place lately. Constitutionally, the rulers' hands are tied. No matter how dire the situation, they cannot interfere with the politics of the country. It is up to right-thinking Malaysians to point out and correct these aberrations to our fundamental liberties. Do not expect the rulers to do much as they are bound by the Constitution. Just a Malaysian: The rulers are rightly our moral compass, ensuring the Constitution is followed not only in letter but in spirit. Our royal highnesses can be more active when rights of the rakyat or the laws are trampled and when elected officials act to steal or destroy the nation for selfish reasons. Hopefully, this is a good first step. Anonymous 2411361459930771: Bushels of thanks to all the rulers for speaking on behalf of all the people of Malaysia. Your message is timely and it is a pity that the lame-duck leaders have to be warned by the rulers in no uncertain terms. Cocomomo: The country's political "leaders" should show more leadership in addressing racism and religious narrow-mindedness. They have allowed these issues to deteriorate to the detriment of the nation. They should stop using racism and religious extremism for their own advancement at the expense of the nation. David Dass: It is good that the rulers have spoken for moderation and respect for our multiracial, multicultural and multireligious society. The actions of some are taking us, bit by bit, to a place of tension and conflict. Influences from places that do not know diversity or democracy are not good for us. We are also a society that believes in scholarship and accepts women as equal in all respects to men. Let us go back to the days when we enjoyed the cultural diversity that makes us such a unique nation. Our strength was in our multilayered culture - we were Malay, Chinese, Indian, Eurasian, Dayak, Iban, Kadazan, Melanau, Murut, et cetera. And given our exposure to the English language, English literature and the Internet, we accessed all the knowledge of the universe. Why do we now want to reject so much of what we are and have? Abasir: It must not have escaped the rulers that this extremism is really flowering within PM Najib Razak's version of "moderate Islam" - which is why no one in the state-run Islamic police establishment said a word when "Muslims-only" dobi shops advertised their services. The question then is whether there is active collusion at the top to subvert everything the Rukunegara espouses. Meerkat: Did anyone notice that what the rulers are espousing are what Umno and PAS are against? Get the message? You know what to do come election time.